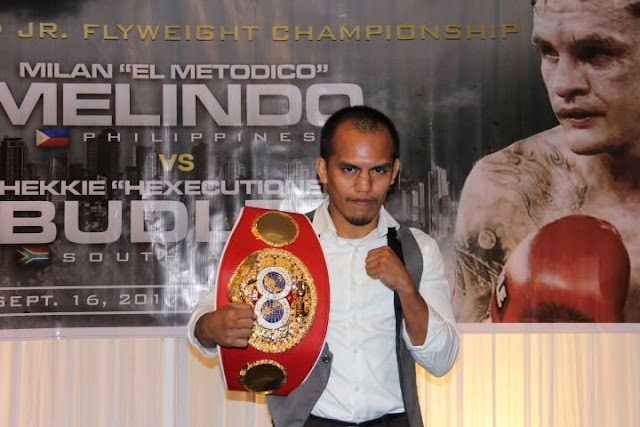 Milan "El Metodico" Melindo successfully defended his title against the South African Hekkie Budler via split decision. It was a bloody fight and Melindo had 2 cuts in his eyes resulting from the headbutt. After 12 rounds of exciting fight, Melindo ruled and won via split decision 117-110 and 115-112 for Melindo, while the one judge gave it to Budler 115-113. Melindo really didn't get a decisive win but after all of his hard work, he won his first defense as a world champion. Budler, however, got his 3rd defeats of his career and now looking forward to a rematch. Meanwhile, Jonas Sultan upsets the former world champion Johnriel Casimero in a unanimous decisive decision. 3 judges scores in favor of the underdog Sultan, 117-111, 116-112, 115-113. Sultan now got his way for the Filipino vs Filipino fight against IBF super flyweight champ Jerwin Ancajas of MP Promotions.